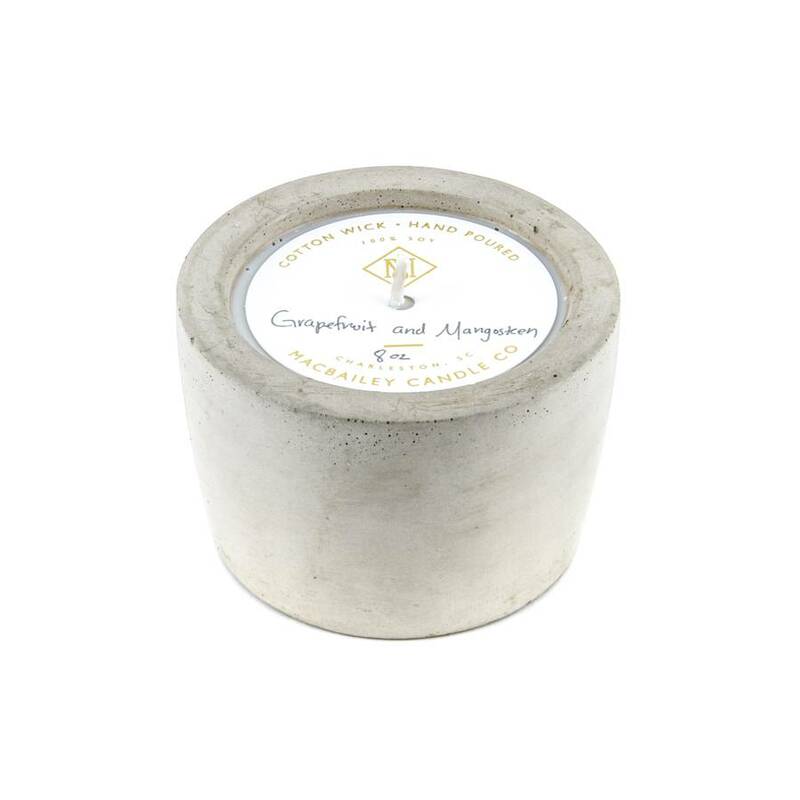 Grapefruit and Mangosteen – Both fruits meld into a strong fragrance that has a citrus punch, a hint of peach, and a naturally derived sweetness. 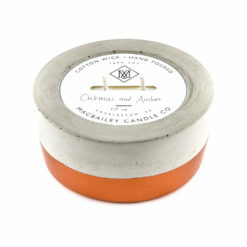 Handmade in Charleston, South Carolina by MacBailey Candle Co. The base can be reused as a planter for succulents or a dish to hold keys and change. The first time you light your candle, allow it to burn until the wax pool melts all the way to the edge; for a larger candle, this may take several hours. Wax has “memory,” so if it is extinguished with a partial pool, that will prevent a full, even pool from forming in the future. Trim your wick each time you light the candle, removing any “bloom” from the previous burn. We recommend lighting a wick that is 1/4-1/2″ in length. To ensure safety and longevity, be sure to check the bottom of your candle for additional instructions, including details on when to discontinue use. 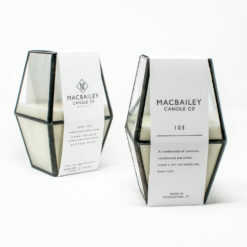 MacBailey Candle Co was started by a husband and wife team, Rich and Clara Bailey. What started out as a hobby and a playful class at a local candle studio turned into a passion to design and create unique candles. Each vessel is thoughtfully designed for reuse after the candle burns. 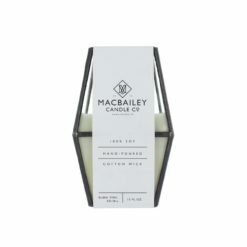 A MacBailey candle is a hand poured and filled with 100% soy wax sourced in the USA and infused with natural essential oils.